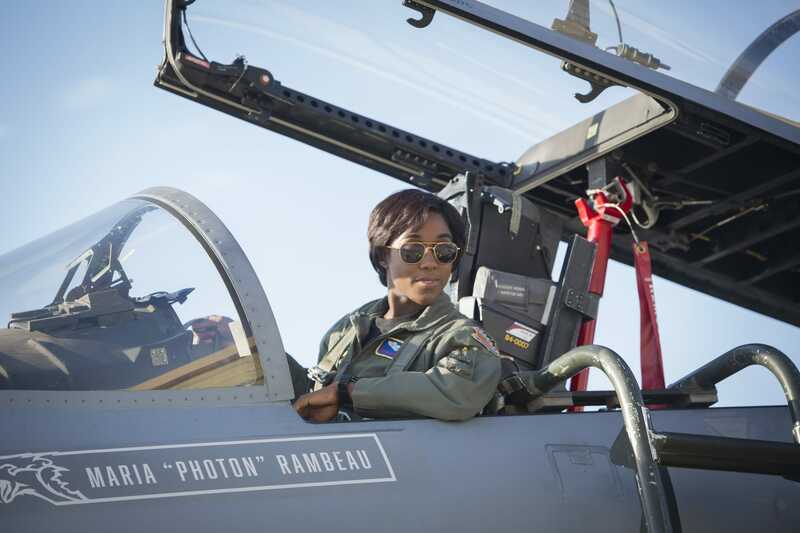 Marvel’s first female-lead film soars onto screens next year. But the potential world-savior known as Captain Marvel is already causing fanboys and fangirls’ minds to explode. No clue what I’m talking about? 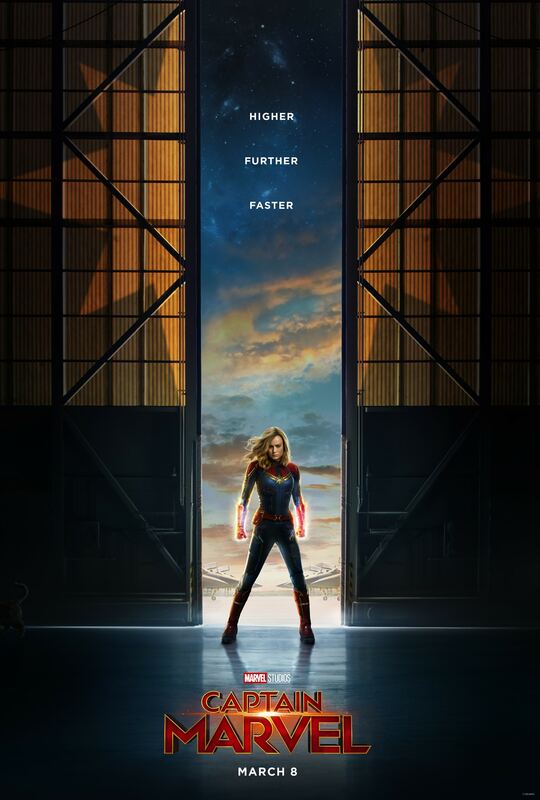 Well, while March’s Captain Marvel takes place in the 1990s, a few decades before Thanos snapped his fingers, this film looks to set the stage for the greatest showdown in cinema history. 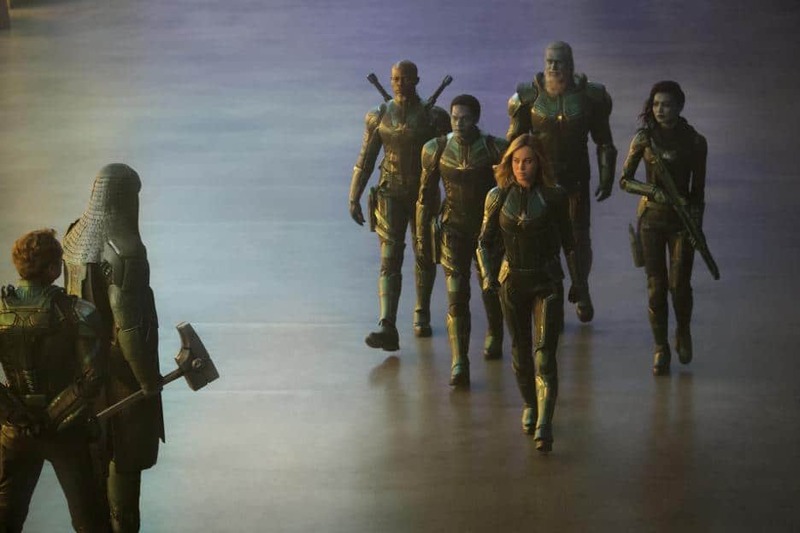 You thought the entire Marvel Cinematic Universe (minus Hawkeye, Ant-Man and a handful of others) against Thanos and his army was ginormous? 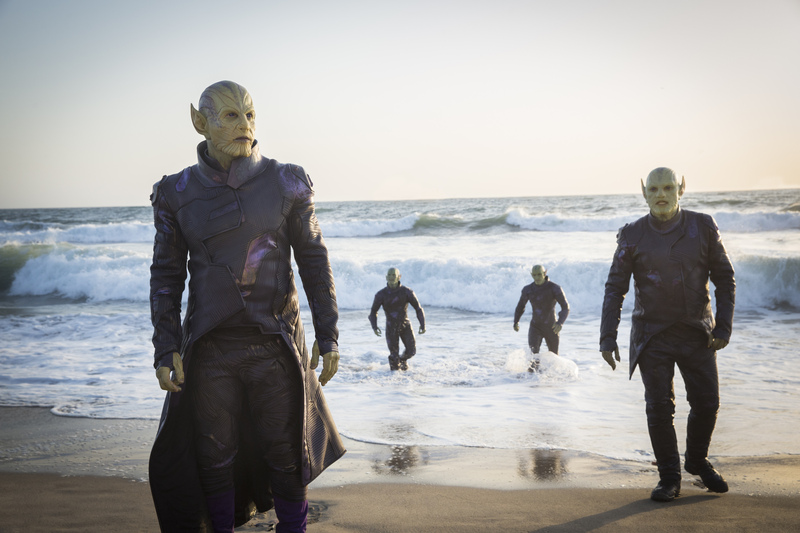 Just you wait for round two next summer in the Avengers sequel. See, Carol Danvers has a very interesting past tied to alien races and galactic wars. 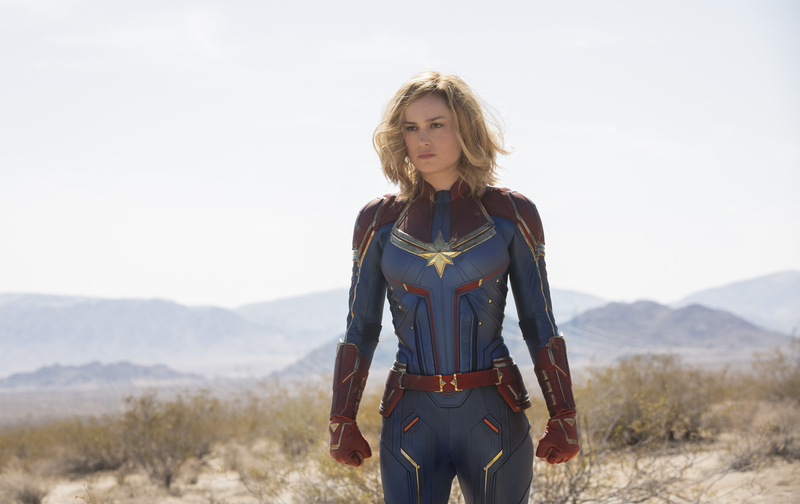 I don’t know how the Marvel Films are going to handle her past and powers (she’s had a real interesting path in the comics… starting off as a blonde-haired flying Ms. Marvel), but apparently she becomes one of the most powerful heroes in the entire universe. Okay, enough talking. Take a look at this trailer and whether or not you know a thing about Marvel movies, tell me you’re not pumped to see this one! Crazy cool, right? There’s just so much awesomeness here. 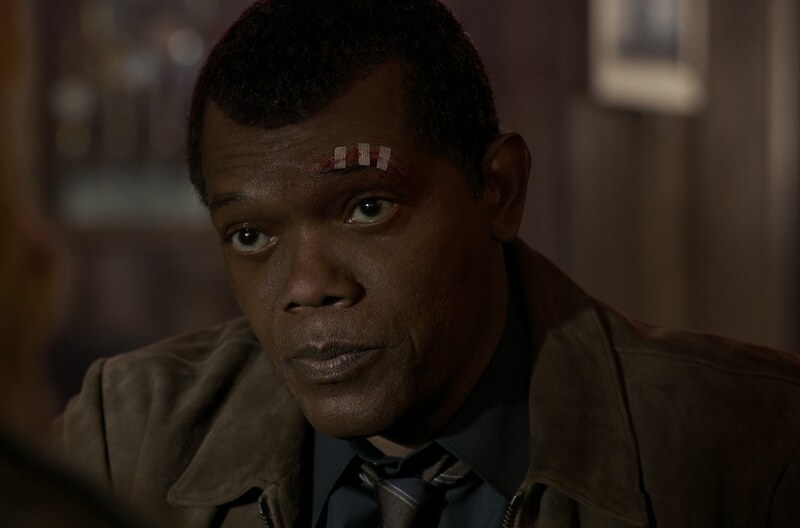 Nick Fury with TWO eyes! 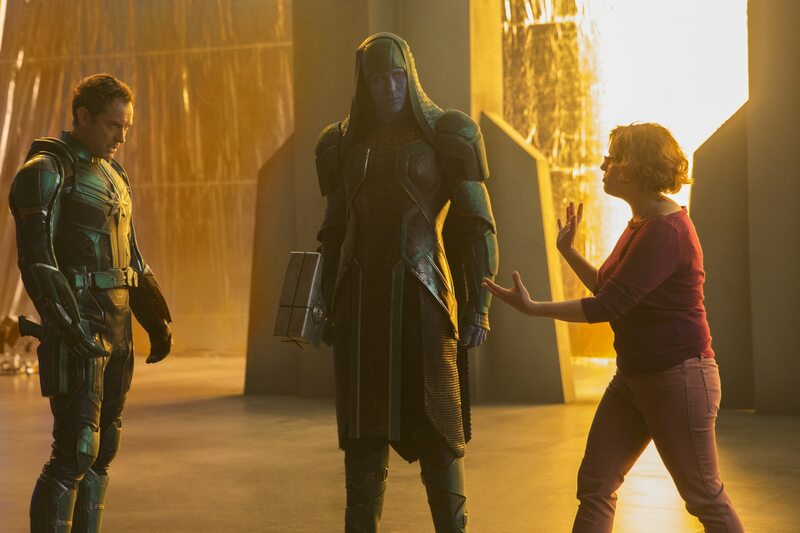 Crazy, hammer-wielding, bloodthirsty Kree fanatic Ronan is back!